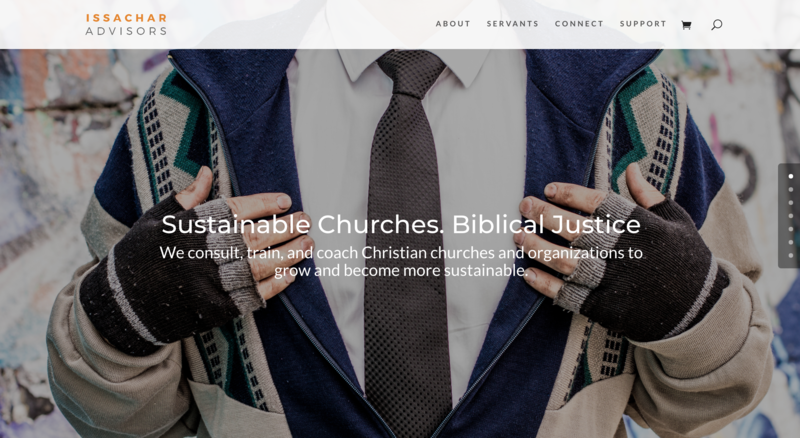 Jared Rendell · Website Outfitter – Web design & digital strategy coaching for churches, nonprofits, small businesses, and writers. Is your digital presence ready for a new adventure? Hi, I'm Jared. Welcome to Rendell Digital. I'm a coach, connector, and designer. I'm a husband and father. I outfit digital space for people and organizations making the world better. 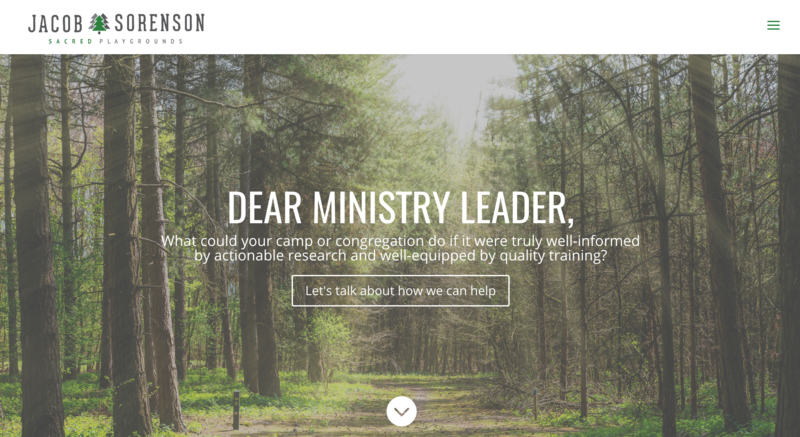 Let's explore what a fresh design and good conversation could do for your blog, your ministry, or your organization. WordPress is simply the best way to create and maintain awesome online presence today. Its functionality, flexibility, and there’s-an-app-for-that attitude make it my choice for nearly all my design work. Divi is one of the most versatile, yet user-friendly WordPress themes around, and its my choice for most of my site designs. It comes with creative design options and functionality, plus a powerful page builder. 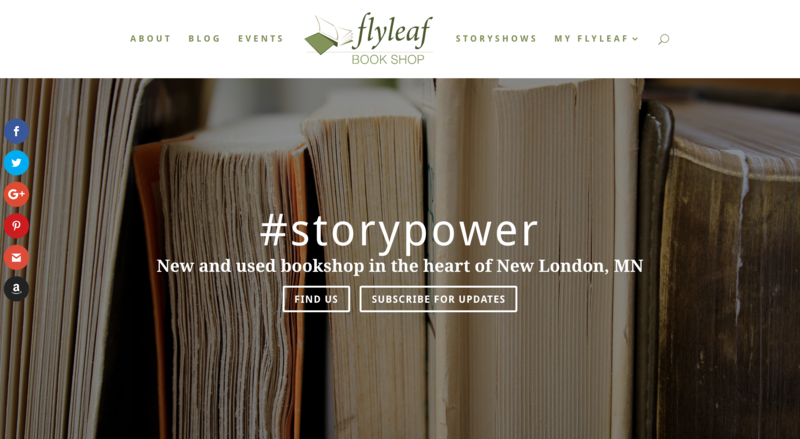 Flywheel is the best managed WordPress hosting I’ve found. It boasts an easy to use platform, great support, attactive and functional dashboards, and built in features like SSL and super quick caching. Heads up, this is an affiliate link. 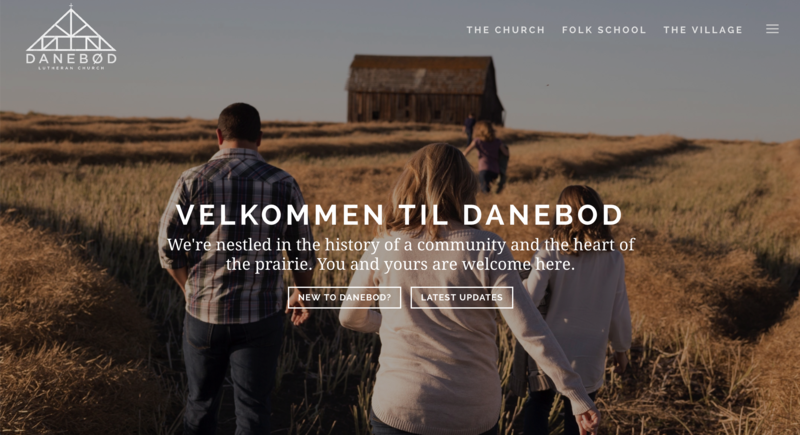 Immanuel Lutheran, a Swedish-heritage faith community north of the Twin Cities of MN was a full design and coaching package, including a year-long digital engagement process. 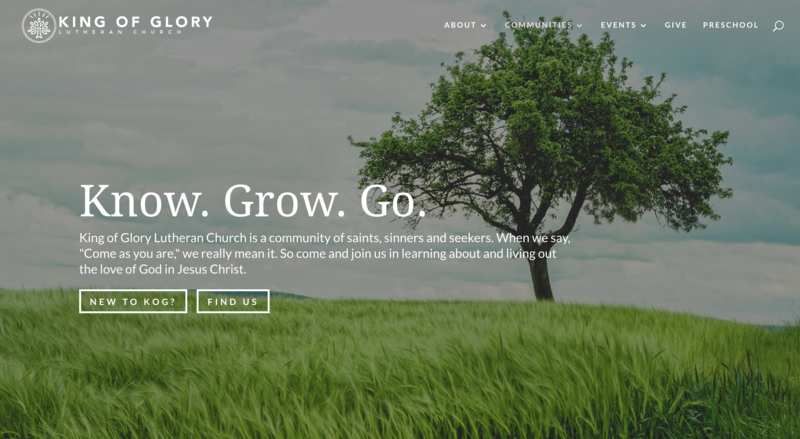 Working with a volunteer team, we sought not only to redesign the website and visual brand, but to move them forward in how they think about connecting with both their current audience and new folks as well. The historic Danish church at Danebod is actually more of a campus with a Folk School and Senior Housing Community all onsite. Using multiple menus (a top and a slide out from the side) worked well here, giving people a quick entry point to the different places they may be looking to connect, and immediately building a brand that isn’t just the church, yet the church is at the heart. I spent years at this incredible place as a camper, counselor, program leader, and area youth director. It was a blessing to try to capture that kind of impact in digital space. 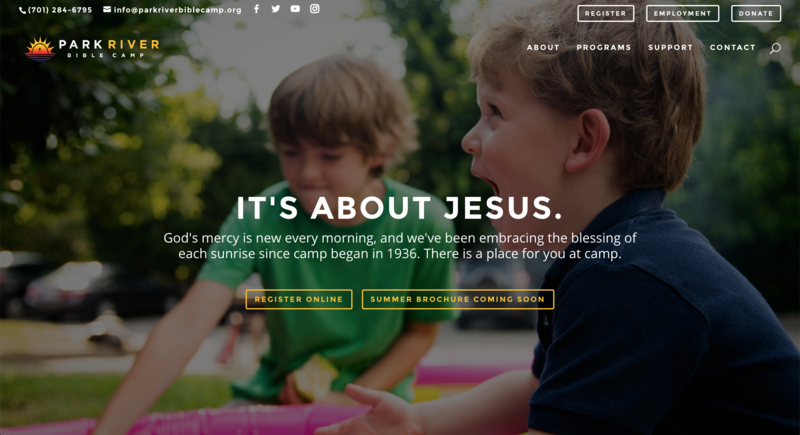 This site is an introduction to camp for retreat and summer participants and links to a few different systems for registration and other ways to engage. We wanted lots of color and vibrant emotion in the new logo and in the images across the site. Issachar Advisors is blazing a trail toward Biblical justice and unity in the body of Christ. My friend Chris, the founder and lead servant asked me to build this quick site along with an initial visual brand. It’s a simple but captivating design with a focus on images and headlines. As the organization continues to grow and evolve, the site will too. 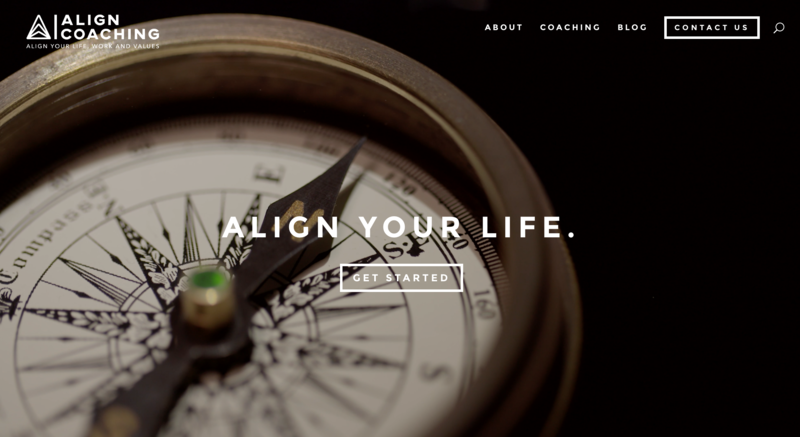 Andy Jolivette has been through an adventure personally and professionally, leading him to start Align Coaching, helping people align their life, work, and values for good. This site is a small business site, built to market and connect with clients, new ones in particular. It combines static about and contact content with a blog to share stories, client testimonies, and thought leadership in life coaching space. 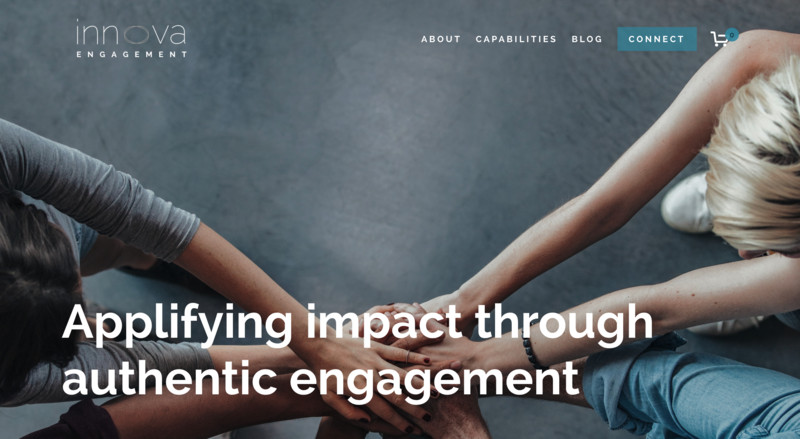 Innova Engagement is a consulting firm helping organizations engage well with their stakeholders, their community, and their culture. This is the first site I built using Squarespace rather than WordPress. Overall, a great platform, easy to use, and intuitive. The jury is out on whether I’ll continue to do sites in SS. Innova is going to make an impact on this Twin Cities community and building a site that reflects Andrea’s vision well, highlights good content, high-impact statements, and clear services was an honor. Our good friend Sarah from Simply Inspired Home Organizing is really good at what she does. I designed a site for her, she helped us BIG with organizing our new home. 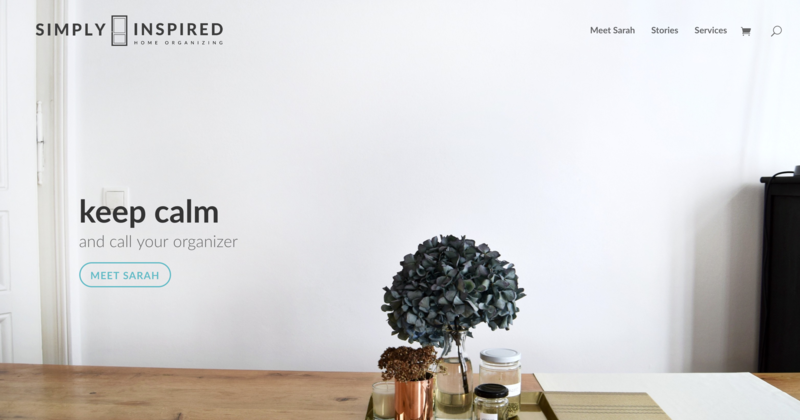 She needed a simply site to showcase blog content plus her services in an organized way – clean and clear, but calm and inviting at the same time. King of Glory in Fountain Valley, CA has a great team of volunteers supporting the small staff at the church. 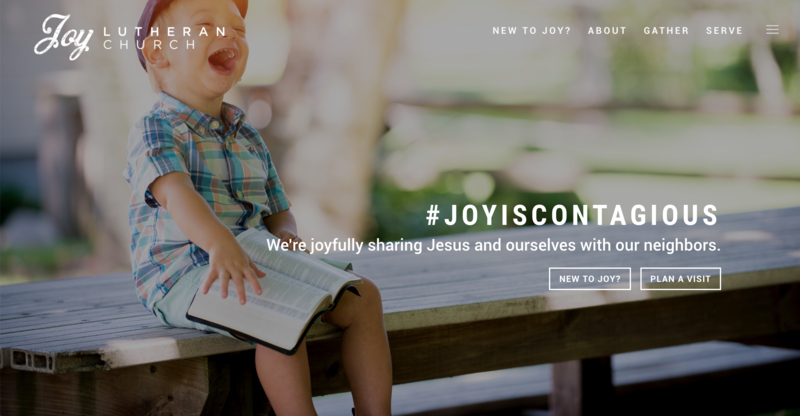 We created a digital strategy team to help launch the new website from a series of deep conversations that will help them get further in their hopes of a faith forming digital presence. 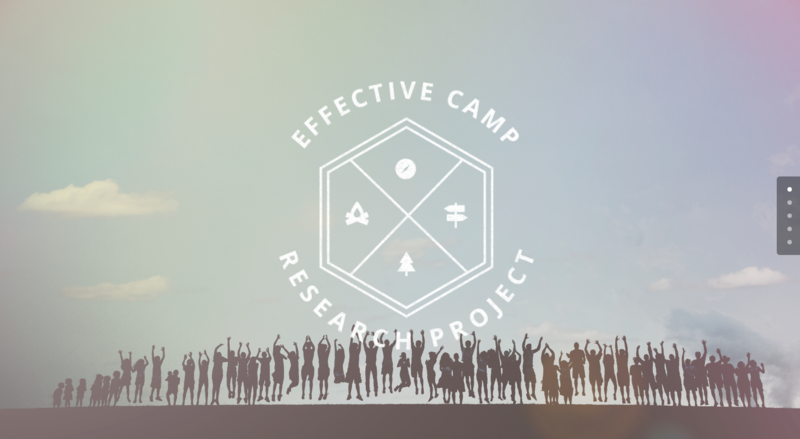 The Effective Camp Research Project is the first of its kind, a significant research initiative dedicated to outdoor ministry. 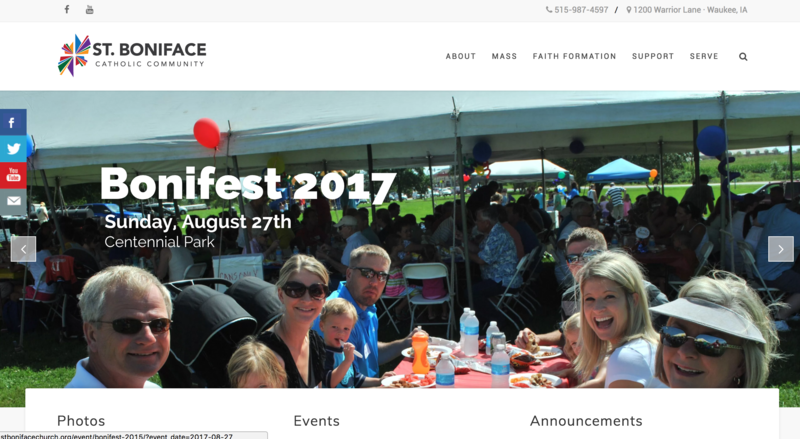 We built the site inside the Vibrant Faith site, but it has its own design and branding. We also created a communications kit for other organizations to use in spreading the word about the research findings. In Sioux Falls, SD sits a vibrant Lutheran church with a lot of transformational things going on. They were ready for a new site that they could take and run with. We’ve continued to tweak and add content and design elements. One of the first churches I worked with during my time at Vibrant Faith was St. Boniface, a large catholic church near Des Moines. My friend Jake is leading a significant outdoor ministry research project along with a number of other projects. 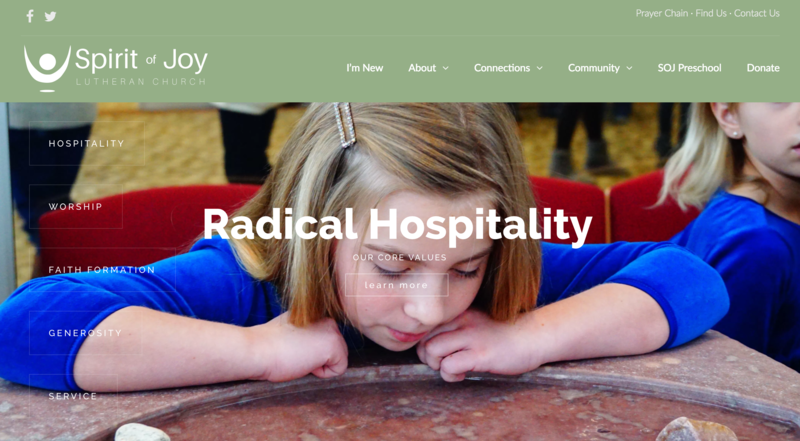 Jake is launching Sacred Playgrounds to continue his work with camps and other ministry organizations. 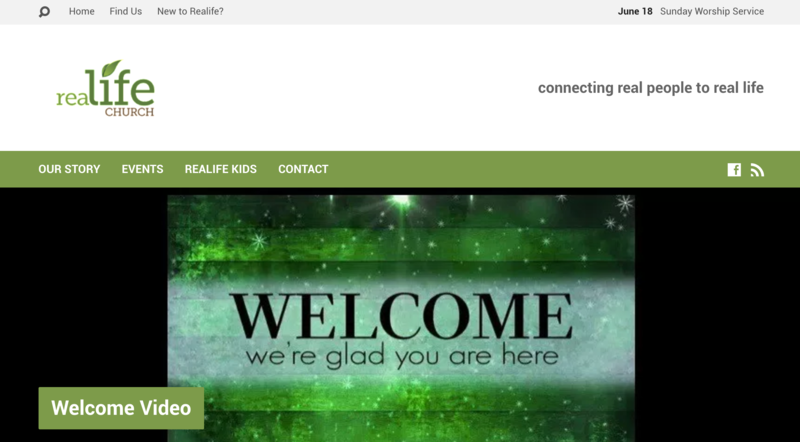 Realife Church is a church plant in Bloomington, MN. We worked together to give their digital presence a good base, and they’ve got great graphics folks continuing a vibrant online presence. Mary Carver has become a good friend of my wife and I. They work together at incourage.me and are in a number of blogging groups together. 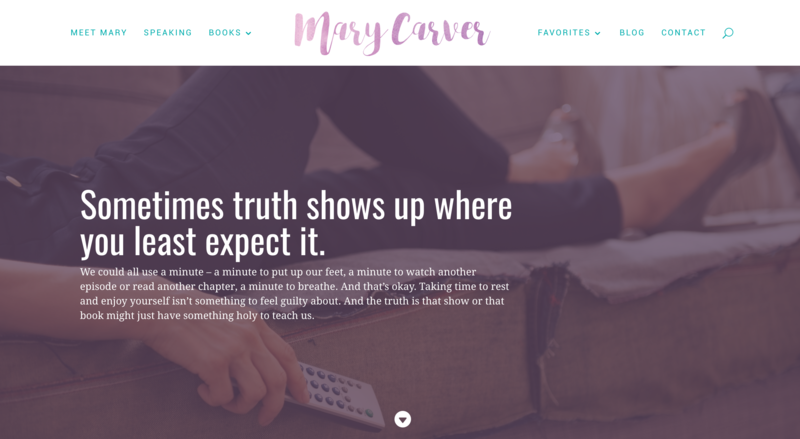 We’ve now done two redesigns for Mary as her writing perspective has changed. I work with Vibrant Faith as an Associate for Digital Strategies. During my time there, I have lead two site redesigns and a full visual brand refresh. The site includes and online store, online giving platform, robust blog, and a big variety of page styles. Learn more at vibrantfaith.org/digital. Our work with NCCL has continued over the course of 18 months. This site was one of the most robust we’ve built. I partnered with Max Buchholz from MeaningWins.com to build this site. Max did much of the visual design while I focused on the back end functionality. This is a membership site, online store, giving platform, online social community, and conference site. 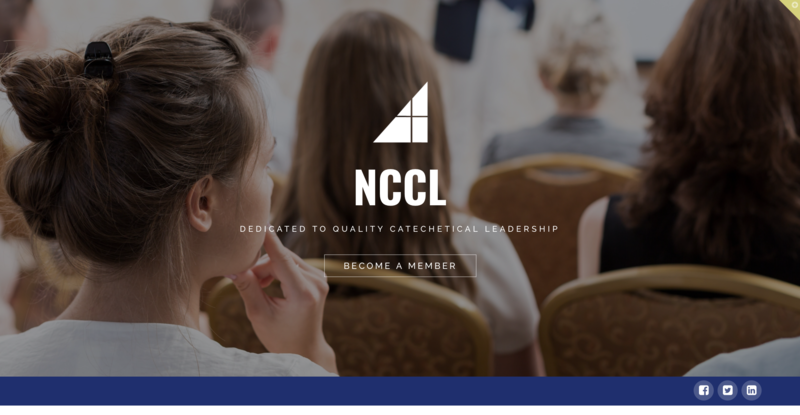 We also developed a new logo and visual brand for NCCL. I am a camp nerd, through and through. I love outdoor ministry and the incredible, life-changing things that happen through camp experiences. 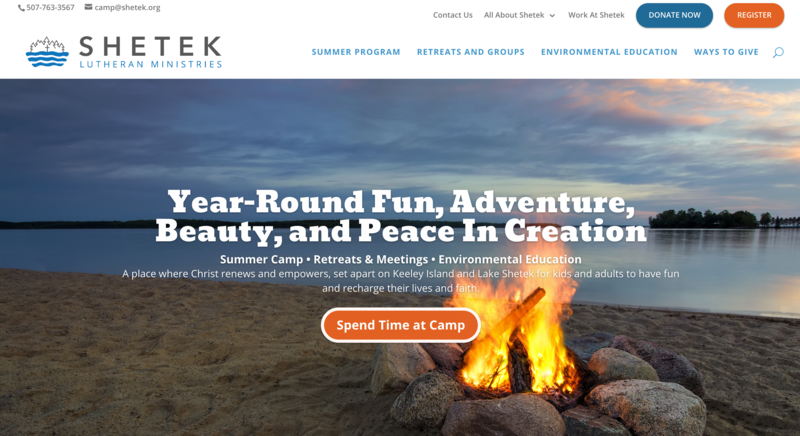 My life was changed at camp, and it was incredible to work with Shetek. We not only updated their website, but went through a full marketing and communications analysis, site design, brand redesign, graphic design, and digital strategy coaching including website, email marketing, and social media. 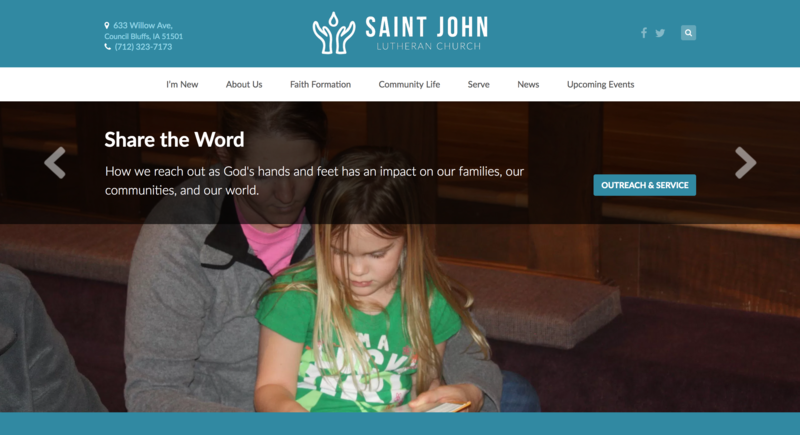 Working with St. John’s in Council Bluffs, IA was a big blessings. 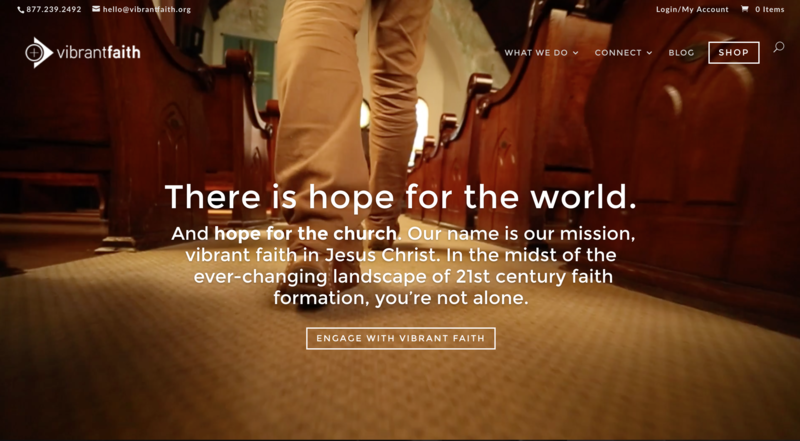 This church was ready for an updated website that helped extend their community into digital space and fulfill their faith forming mission offline and online. The Fringe Hours is a great booked focused on helping women capture moments in their days to live their dreams. 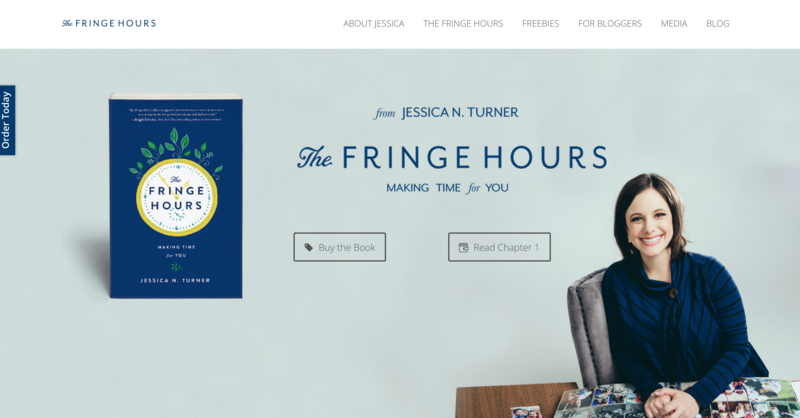 Jessica Turner, author of the book and blogger at TheMomCreative.com, contributor to the (in)courage community (where she met my wife), and mom of 3. 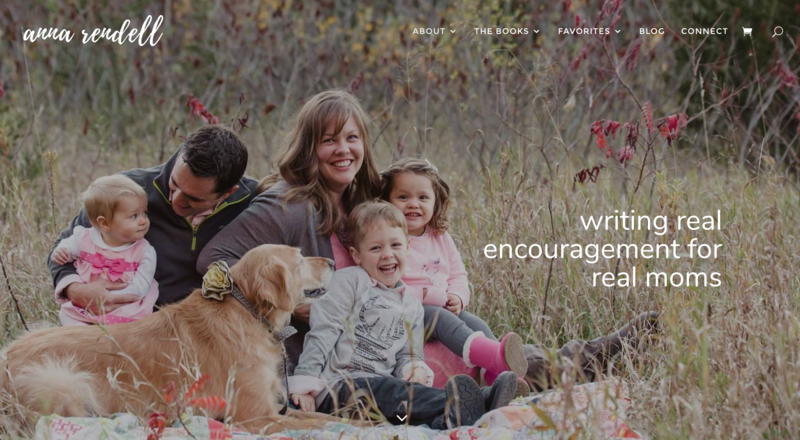 I did a previous site for her and her husband the children’s book he wrote, God Made Light. I found a theme built for a book preview. The more I expand the kinds and purposes of the sites I am doing, the more I appreciate theme developers who build with intentionality and flexibility. Sites designed with specific purposes in mind, while still maintaining high quality code and a range of options. In this latest redesign, we used the Divi theme to create a fresh look, based in images and calls to action, and introduced a more creative, engaging way to display blog posts. 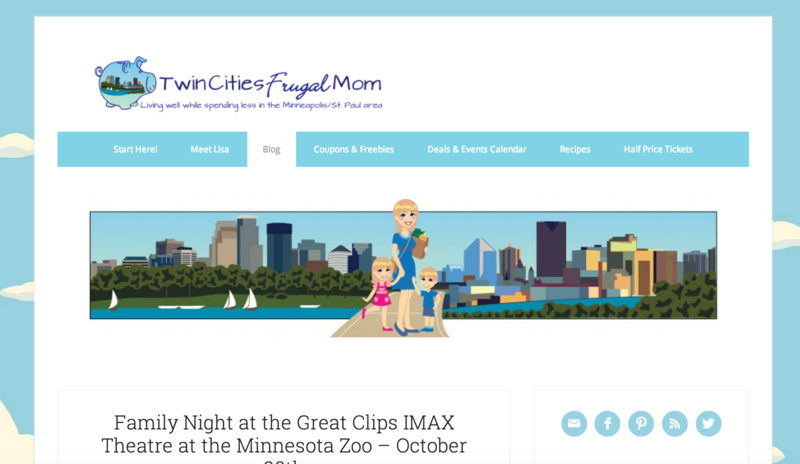 Twin Cities Frugal Mom is a great blog focusing on “spending less and living well in the Minneapolis/St. Paul area.” This was a quick, fun build for a blogger who was long ready for a fresh design. Are you a Minnesotan and looking for a good deal, check her site out. She’s got deals, events, coupons, and tips for frugal living that are really usable. We used a Genesis-based theme from Studiopress (again) for this build. Its called Lifestyle. Its got a great design to highlight different categories of blog content, with a homepage design that vividly displays excepts and featured images in a smart way. She had an artist do the header, so it took a little back and forth and then some code edits to get the sizing right. I learn something new in terms of small code edits with ever new site. 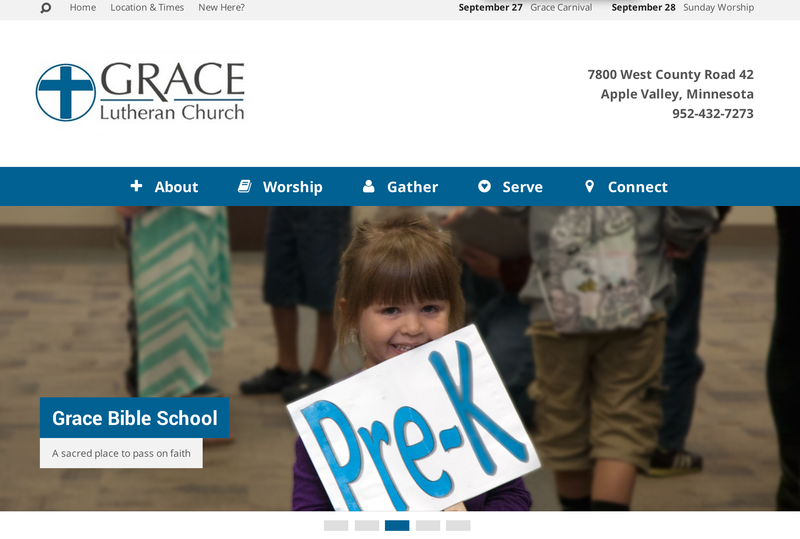 Grace Lutheran Church is located in the heart of Apple Valley, Minnesota. It also happens to be the church my family and I attend and have for just shy of a decade. We help lead worship there every other Wednesday evening. You should come! This site was a ton of fun to build, and these people and this place are close to my heart. 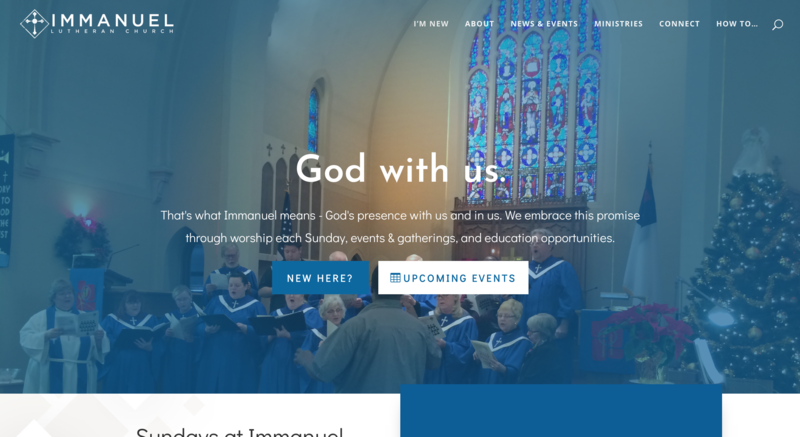 Functionality and content built for churches – sermons, events, staff listing, locations, etc. The fact that I didn’t have to duct tape together similar functionality was huge! On top of that, it makes content management so much more intuitive for the church staff managing the site, who are not pros, but wonderful ladies willing to learn. Clean. Crazy clean feel. People have been giving me great feedback on this site and always mention how clean and clear it it. WanderFit Training is the creatively branded personal training business of Amy Ferguson. She believes that the body is not complete until one has found the right balance between mind, body, and soul. 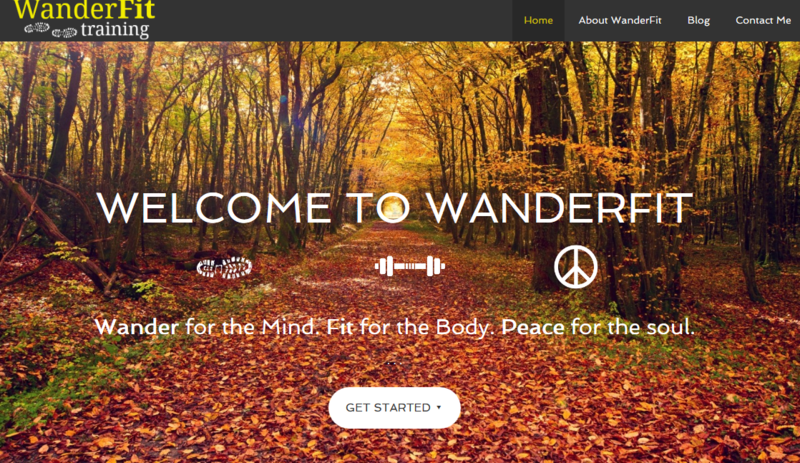 The premise of WanderFit is to wander freely to fulfill the mind, strengthen the body and be fit, and find your inner peace to fill your soul with beauty and wonder. Crops for Campers is an initiative of Ingham Okoboji Lutheran Bible Camps to help farmers maximize gifts of crops to help campers attend Bible Camp and undergird ministry, all so that campers may know Jesus Christ and make Christ known all. 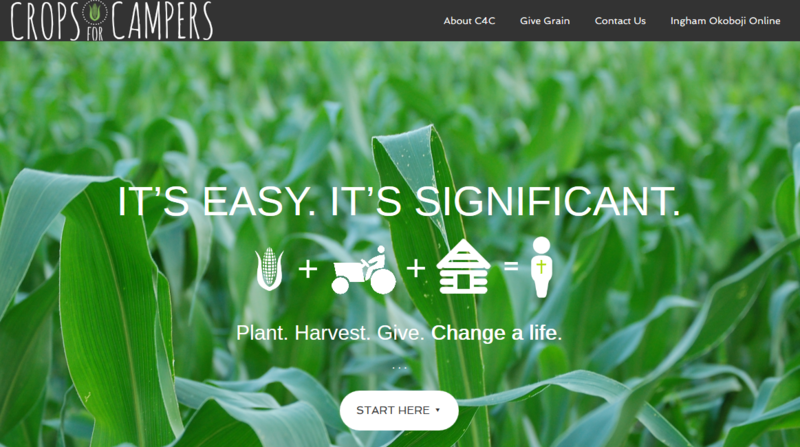 This awesome camp decided to launch a program to encourage farmers to donate grain to camp as a gift that maximizes taxes and is easy to do. We choose a theme called Agency Pro from Studiopress that has its biggest advantages in being visually clear and having a focused call to action = get started with giving grain. Their Executive Director was great to work with. 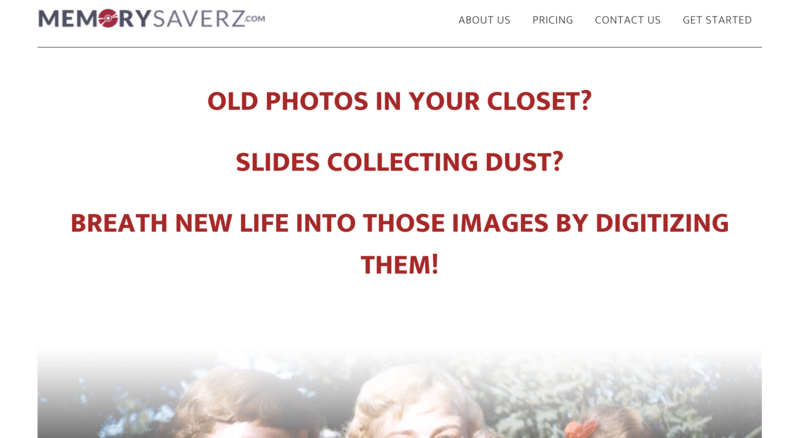 Memory Saverz helps families keep old slide photo memories alive by transferring to digital copies. We did a simple small business site to give them a place to send people to learn more and get in contact. Girl With Blog is the personal blog of Anna Rendell. She writes with simple honesty on the joys and struggles of faith, motherhood, and the everyday. She loves Jesus, our 3 kids, her husband (that’s me! ), blogging, coffee, Minnesota, James Taylor, baking, & pretty things. Anna wanted a site that spanned the width of the screen, looked great on computer and mobile screens alike, and brought a cute, cozy, welcoming feeling. This was a site that I did a good handful of graphic design as part of the website design. 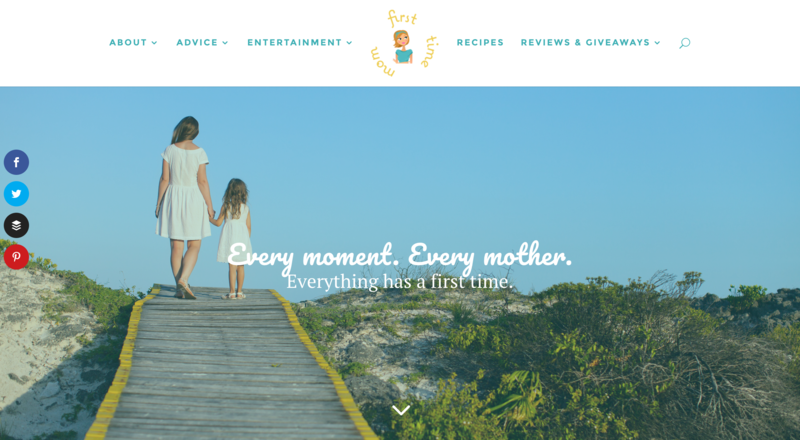 This site has been my guinea pig more than once – I have gotten to redesign her site thrice now and I have so much fun!